SINGAPORE, 25 July 2018 – With 140 F&B options and growing, Changi Airport is a dining haven for every palate and occasion. From this month, foodies can look forward to nine fresh new food concepts from household brands - raising Changi Airport’s tasty credentials with five first-in-Changi brands and the airport’s largest 24-hour fast-casual dining concept. Local food fare or Asian favourites that carry a local flavour have been well-loved by passengers and visitors who dine at Changi Airport’s public areas since it opened in 1981. Catering to the rising demand for local F&B brands while supporting Singapore F&B entrepreneurs, Changi Airport has been seeking more home-grown brands to set up shop here. In fact, more than half of the F&B operators at Changi Airport’s public areas are local brands. “Singapore food is a reflection of our country as a melting pot of different cultures and ethnic groups. With more than 60 million passengers passing through our doors every year, Changi Airport is an ideal platform for sharing our rich culture, diversity and uniquely Singaporean cuisines with both locals and foreigners. There have been a tremendous amount of innovation and creativity in Singapore’s F&B industry in recent years. We look forward to continuing our support for like-minded local enterprises to showcase the best of Singapore brands at the airport and giving them a boost in reaching out to an international audience,” said Mr James Fong, Vice President for Landside Concessions, Changi Airport Group. 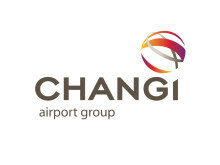 For its relentless efforts to curating the best dining experiences for all passengers and visitors, Changi Airport was recently recognised by the 2018 Airport Food & Beverage Awards (FAB) in three categories - Overall Airport Food & Beverage Offer Best Reflecting Sense of Place (for Terminal 4 Food Emporium), Asia Pacific’s Airport Food & Beverage Offer of the Year (for whole of Changi Airport), and Asia Pacific New Food & Beverages Concept of the Year (for multi-concept Japanese restaurant Sora). Four new restaurants serving Asian delights will be welcoming passengers and airport visitors at T3’s Level 3. Feast your way through the line-up of authentic hawker and local western fares, Chinese claypot dishes and traditional Vietnamese cuisine at Colonial Club, COLLIN’s, A-One Signature and So Pho. 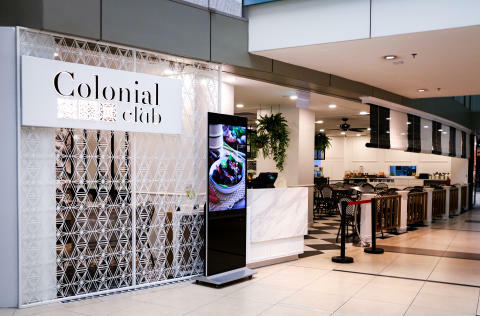 Colonial Club is a first-in-Singapore concept by the PappaMia Group, launching at Changi Airport. The 80-seater black and white restaurant pays tribute to Singapore’s rich culinary heritage in the colonial era, and serves an array of Hainanese-style western delights, Nyonya dishes, and local favourites with British-Colonial influence. Diners can look forward to savouring nasi lemak, nyonya laksa, Hainanese-style chicken chop and other old-school comfort food and unique specialty dishes. A first-time operator at Changi Airport, COLLIN’S® is a household name synonymous with wholesome Western meals that are easy on the pocket. It started out as a Western food stall in a coffeeshop six years ago, and has since expanded to 23 outlets island wide. Available exclusively at the airport is a brand-new menu with almost 100 food items, including salmon dishes made with the finest quality King Salmon from New Zealand, a selection of steaks served on basalt plates, and a special spread of classic Western breakfast favourites that is served from 7am daily – a first for the brand. This restaurant also boasts a bar, an open kitchen concept with a fireplace oven for baking pizzas and even a charcoal oven that retains the unique flavours of the grilled dishes, adding a distinctive taste. Two other new-to-Changi operators, A-One Signature and So Pho will also be joining the scene towards the end of 2018. Expect more than just their well-known steaming hot claypot and hotplate dishes, A-One Signature will be introducing exclusive menu items like the Claypot Porridge with Crab Roe and Prawn, Fried Rice in Hot Stone Bowl with Crab Meat, Roe and Shrimp and more. For the first time, the Pezzo Group is bringing together five fast-casual concepts in a single space at Changi Airport’s T2 Arrival Hall. Established for their takeaway kiosks, the Pezzo Group has introduced their first 24-hour dine-in concept at an airport, with clusters of seating areas, that comprise Coffee Toast Express, Crave, Pezzo, Stuff’d and Yolé. Debuting its first outlet in Singapore at Changi Airport, Coffee Toast Express is a new concept serving local Nanyang-style kopi, traditional toasts and local delights like Mee Rebus and Mee Soto. Diners can also indulge in the original Adam Road nasi lemak from Crave, delicious pizzas baked fresh daily at Pezzo, healthy Mexican and Turkish food and salads from Stuff’d and guilt-free desserts at Yolé. T2 Departure Hall also welcomed three brands - Spanish yoghurt brand llao llao, Krispy Kreme and its delicious doughnuts and freshly brewed coffee, and Taiwanese bubble tea brand TP Tea’s first outlet in Singapore.